Bommireddy Nagi Reddy (బొమ్మిరెడ్డి నాగిరెడ్డి) was a Telugu movie producer from Pottipadu Village in the Kadapa District of Andhra Pradesh. He set up Vijaya Studios in Chennai, which was then Asia's biggest film studio.Some of the movies produced by Nagi Reddy include Patala Bhairavi (1951), Missamma (1955), Maya Bazaar (1957), Gundamma Katha (1962), Jagadeka Veeruni Katha, Ram Aur Shyam, Shriman Shrimati, Julie (1975), and Swarg Narak (1978), the latter two of which were in Hindi. His heir is Venkatramana Reddy. Nagi Reddy produced over fifty films in four decades in the four South Indian languages and Hindi.He made mythological, devotional, and historical Telugu movies. Some of his more notable films include Pathala Bhairavi, Maya Bazaar, and Missamma. He made most of his films in association with screen writer Chakrapani. Nagi Reddy closed down Vijaya-Vahini after the Tamil film industry moved out of studios in the 1970s, and started the Vijaya Hospital and Vijaya Health Centre. He stopped producing movies after the death of his friend and partner Chakrapani. 1.The Government of India awarded him the prestigious Dada Saheb Phalke Award in 1986. 2.The Government of Andhra Pradesh awarded him the Raghupathy Venkaiah award in 1987. 3.The Government of Tamil Nadu awarded him the Kalaimamani Award in 1972. 4.He was awarded an honorary doctorate by Srikrishnadevaraya University and Sri Venkateswara University. Nagi Reddy served as Chairman of the Board of Trustees of Tirumala Tirupati Devasthanams between 1980 and 1983, and is credited for building the Vaikuntam Queue Complex that now serves to regulate pilgrims for darshan in the Tirumala Venkateswara Temple.Nagi Reddy founded the Vijaya Medical & Educational Trust in 1972.The trust runs the Vijaya Hospital (1972), Vijaya Health Center (1987) and Vijaya Heart Foundation (1996). Nagi Reddy headed the South Indian Film Chamber of Commerce four times and the All-India Film Sammelan for two terms. 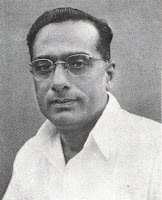 Nagi Reddy started the Andhra Jyothi newspaper in 1945.He also established the children's magazine Chandamama in July 1947.The magazine was eventually printed in nearly a dozen different langauges.